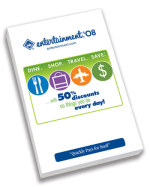 Check out eCouponsHawaii.com before you go on vacation and you may find some valuable savings. I’ve been clicking away on that website and finding some nice deals that would definitely benefit Hawaii visitors and residents, too. To save you some steps, I’m linking to coupon pages that I felt were worth pointing out to my fellow Hawaii travelers. The offers do vary from island to island. After you click on the island link for each category listed below, access the specific coupons by clicking on the individual business logos. Car rental coupons for Maui, Oahu, Big Island, and Kauai. Definitely take a look at these coupons and compare them to quotes you get from some of the websites like Expedia, Travelocity, Kayak, etc. Looking for discounts on tours and activities? You’ll find discounts for everything from guided tours to luaus to kayak rentals, bike rentals, and much more. You’ll even find coupons for helicopter tours. Here are the links for the offers for the Big Island, Oahu, Maui, Kauai, and Molokai. Spas! See these spa and beauty coupons for Oahu and the Big Island. Are you getting married in Hawaii? Then check out these coupons for weddings including photography, transportation, flowers and beauty needs for Big Island, Oahu, Maui, and Kauai. A free DoleWhip with the purchase of two DoleWhips at the Dole Plantation on Oahu. A DoleWhip is a refreshing frozen pineapple treat. If you have the time a stop at the Dole Plantation is a neat little place to visit, though it is a bit touristy. I enjoyed just walking around the gift shop and seeing some unique souvenirs. While we’re on the topic of coupons and discounts, I’d like to point out that the 2010 Hawaii Entertainment books are currently on sale. You may recall we talked about these Hawaii coupon books last month. The consensus from the comments is that the coupon books were particularly valuable for Oahu, but not as useful on the other islands.